You are a bit nervous as you enter the medical facility. You haven’t had any kind of surgery before – it’s just an outpatient procedure, but still, you worry about everything that could go wrong. The nurse calls you from the waiting room and hands you a waiver. “Read this and sign.” The waiver tells you that you may suffer nerve or bone damage, loss of sensation, illness, or even death. You know these aren’t likely but you are still kind of nervous about having your wisdom teeth removed. The nurse takes you into the office. She takes your vitals. “It’s good you came in early,” she says, “If you had waited too long, we wouldn’t have been able to perform the surgery.” This is the second visit to the oral surgeon – you had a consultation a week earlier, in which you were counseled about alternative options to the surgery, such as leaving your teeth as they are currently positioned. You were then sent home for the mandatory 24-hour waiting period, in case you changed your mind. After all, once the procedure is done, there is no going back. It has certainly been time-consuming. Because of local restrictions on where oral surgeons can open practices, the nearest one to your town is a three-hour drive. Oh well, it could be worse. Your friend Lisa had to drive five hours and stay overnight in a hotel when she got her wisdom teeth out. Besides, the time you’ve spent is nothing compared to the medical expenses you’re incurring. Your insurance won’t cover the procedure and federal funding for wisdom tooth removal is restricted to instances in which the patient’s life is threatened, which is of course quite rare. But you’re here now. You sit in the chair and the nurse gives you a sedative. She asks you again if you are sure you want to go through with it. You nod your assent before drifting out of consciousness. You wake up with cotton balls in your mouth. You were an easy surgery for the doctor. Although the procedure is federally legal, your state is ready to jump at the chance to outlaw it should the federal ruling ever be reversed. If it was up to the state, you would receive a penalty of up to $100,000, which you certainly could not pay as a student living on loans. The procedure was expensive enough as is. As you leave the clinic, an older woman approaches you and hands you a brochure. “I am sorry that you just went through that traumatic surgery. People who have their wisdom teeth removed are 3 times as likely to be depressed as those who don’t, and are twice as likely to get oral cancer. I will pray for you.” You know that the statistics she has offered you are fabricated. You were well informed about the risks of wisdom tooth removal, and neither of those complications were mentioned in any credible text you read. You ignore her and go to your car. When you get home, you ask your roommate not to tell anyone else where you were today. You don’t want to be questioned or worse, criticized for your decision to have the procedure. 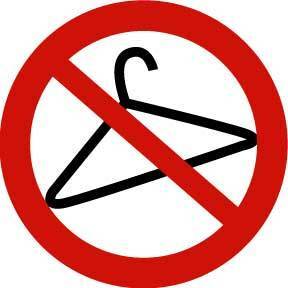 Abortion restrictions do not consider women’s safety. Sound ridiculous? It is. No one wants the government or other people infringing on their right to medical privacy. Abortion, like wisdom tooth removal and many other procedures, is an elective procedure intended to alleviate a symptom causing discomfort or distress – in this case, an unwanted pregnancy. The consequences of an unwanted pregnancy have the potential to be much worse than most other elective procedures. Having a child at the wrong time can put a huge financial strain on the mother, often preventing her from finishing school or continuing full-time work. In addition, most “late-term” abortions are performed when there is something seriously wrong with the fetus that cannot be treated. In this case, having the child would be an unnecessarily stressful event for the mother, and seriously diminish the child’s quality of life, should it survive birth. Adoption, in many cases, is a false option. The foster care system is currently overloaded with children whose parents could not or would not take care of them. The United States made abortion legal in all 50 states when the Supreme Court made its famous Roe V. Wade decision. Let’s not set ourselves back. All human beings deserve bodily autonomy, and this includes freedom from unwanted pregnancy. Rather than prohibiting a legitimate medical procedure, let’s limit the number of abortions performed by making birth control widely and readily available, and allow women to seek safe, legal abortions when needed. Women are capable of making their own decisions. They do not need the government to step in and decide for them.